As a business owner, you will definitely want to turn up your online game, and the best way to get it done is through campaigns. 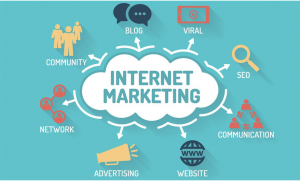 A digital marketing campaign is a step-by-step approach, aimed to achieve one’s online marketing goals (increased brand mentions, an increased number of customers, etc.). The right digital campaign is the best strategy you can apply, to keep tabs on the progress of your business and meet your goals; as long as those goals are specific and measurable. Here are three types of digital marketing campaigns.